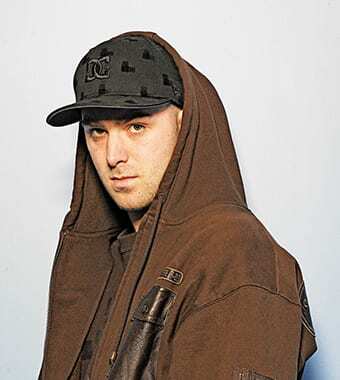 Juno Award-winner and hit-maker, Classified, also known as Luke Boyd, has long been making waves at home and abroad with his trademark style and sound. With each release, the rapper-producer elevates his game; sharpening word play, experimenting with new sounds, and perfecting his flow. Now, Classified bring all to bear for his 15th studio album “Greatful”, available January 15, 2016 via Half Life Records/Universal Music Canada, the country’ s leading music company. From classic vibes to modern day anthems, the lead single “No Pressure” is a guaranteed smash in the vein of 2013’ s five-time platinum selling single “Inner Ninja”. Teaming up with rap icon Snoop Dogg, Classified has created a feel-good anthem that details a wild night out and the consequences that come with it. Snoop brings his expected charisma and mellow flow to the table, working in sync with the Canadian MC’ s own. The secret to Classified’ s success has always been his inherent ability to break down the barrier between the performer and the man. A dedicated family man, Classified’ s charisma and approachability extend to both his on-stage and off-stage personas that engage even the most discerning hip-hop fans and critics alike. The album “Greatful”, is the east coast MC’ s homage to his most dedicated fans who have supported him for over a decade. This year at Deep Roots, Classified shares the stage with David Myles in a special acoustic performance on Thursday night … what a terrific concert this will be!